This interesting,�pink Orchid imitates a young bride. 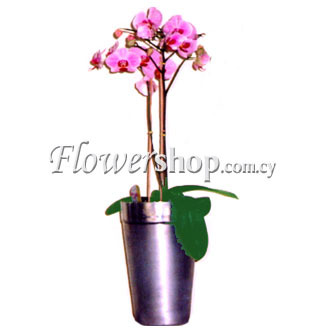 It is placed specially in a high, metallic a vase. It keeps its beautiful head modestly down, and an onlooker will be truly amazed at this wondrous creation of Nature.